For Use Whenever Passing Through A Combustible Wall. Use One Thimble and One Wall Unit for Meets Chimney Installation. 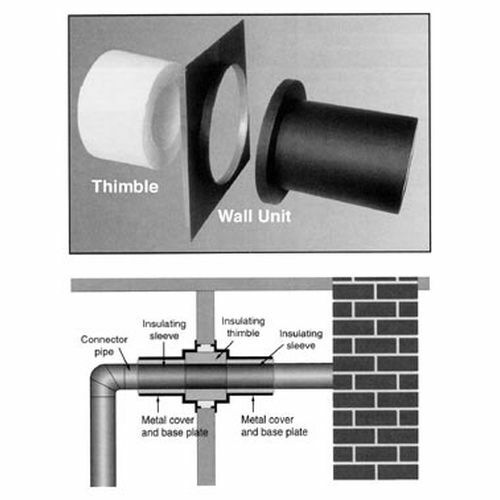 Use One Thimble and Two Wall Units for Through Wall Installation.